When it comes to ICTs, Government’s role is to create and sustain a conducive environment through regulation and legislation. In addition, a sound government strategy should also consider making strategic investments (aka stimulus plans in the financial and economics world), promoting home grown ICT private sector and addressing appropriate skills development in the education and training sector. Lastly, any government strategy or intervention should recognize and address the critical facets of the ICT eco-system which I would roughly categorize as infrastructure, content and applications and services. addressing skills development and relevance of the education system. How do African countries measure up against these ICT seriousness criteria? A cursory review would reveal that most (but certainly not all) African countries have taken steps to enact conducive ICT legislation and provide an enabling ICT regulatory regime, promoting open and somewhat fair competition and private sector participation. Witness the mobile phone growth phenomenon in Africa, liberal telecommunication licensing regimes or the fact that many countries are exempting taxes on ICT hardware and software. Many countries in Africa are also making some strategic investments in infrastructure in the form of national backbone networks partly thanks to Chinese money. But few are actually taking active steps to promote and invest in local content, applications and services even though the rhetoric at major ICT conferences often centers on promoting local content and languages so as to avoid “digital neo-colonization”. Even fewer are actively promoting the local ICT private sector as far as I know. And while ICT skills development is increasingly on the lips of many African education officials, few countries are walking the talk. Kenya is distinguishing its self by “walking the talk” on many of these issues. Take infrastructure investments- not only has the country invested in a national fiber backbone, it went one further with its own submarine fiber (TEAMS). Talk of promoting the local ICT private sector and consider that the government is subsidizing satellite connectivity for the BPO sector until prices come down with fiber roll out and providing other subsidies for office space and training. There are challenges to be sure but at least the government is taking active measures. The recent announcement by the government to stimulate the local content and application development is most likely ground breaking in the region. On the skills development front, the government is taking active measures: the 300 computers for schools in every Kenyan constituency in the recent budget, the one million laptops programme initially targeting university students and various skills development programmes underway in the country. The government is also moving to tackle “anti-competition” issues in the ICT sector in a bid to open up the sector for more players. A recent comparative review of ICT uptake in Kenya and Tanzania in balancing-act Africa also reveals quite clearly why Kenya is ahead of its peers. One factor, not included in my seriousness criteria above, by which I usually judge a countries’ seriousness about ICT is the extent to which the government itself is adopting ICTs- aka e-government. After all, charity should begin at home. Even more importantly, concrete investment in the necessary infrastructure and applications is being and continues to be made. If we look around sub-Saharan African, another country in the region that would score quite highly on these “seriousness” criteria would be Rwanda which shouldn’t be surprising since its development strategy hinges on ICTs. To be fair, other countries in Africa outside North Africa, Mauritius and South Africa are making some strides. 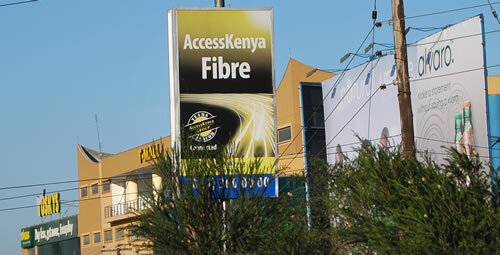 The other East African Community members Uganda and Tanzania have liberalized their telecommunications sectors and investments in national high speed backbones are underway in both countries. But active measures to promote local content and services or even local private sector and measures to address skills development seem to be limited. The Nigerian government is also beginning to make the right noises and to put its money where its mouth is. So is Mozambique and Senegal. I get the sense that the many other countries, including the other southern African countries, do say the right things but have yet to show serious commitments to ICTs according to my seriousness criteria above. But then again, every country has it own development strategy and ICTs (except for the mobile phone sub sector) are not necessarily a priority for many. Evidence of this can be gleamed by perusing the Poverty Reduction Strategy Papers (PRSPs) for the least developed African countries which include most sub Saharan African countries. While many of the PRSPs make some mention of “developing the ICT sector” and/or recognize the ICT sector as a “growth” sector, only a handful including those for Nigeria, Kenya, Rwanda and Mozambique and to some extent Ghana, Tanzania, Malawi and Ethiopia seem to pay particular emphasis to ICTs in their core strategies. One hopes that the trend towards greater integration of Africa means that countries are watching out for what their peers are doing right (and wrong) and that over the short term (1-5 years), there will be dramatic positive developments in the ICT sphere across Africa. Alex has extensive experience in ICT for Education and Development in the areas of planning, design, implementation and management. He is currently the Africa Regional Director for GsECI based in Nairobi, Kenya. Prior to his work with GeSCI he was a technical consultant to the World Bank in Washington DC for the African Virtual University (AVU). -the govt is not serious enough,coz them they are employing incompetent people in their ministries. -Very many senior people who hold big offices in kenya are IT illiterate,but they are people who make decision. -Mostly IT is not about master,phd and other stuff but it is about experience. any we still av along way to go…about 2040 is when we will really do something.for now forget it. Mike: Government policy makers in nearly every country are not the computer or ICT-oriented people. Computer people probably don’t make good politicians. I don’t know if that is a reason to discount Kenya as a contender. You have some good points, otherwise. Thanks for the Tanzania/Kenya link and the article generally, Alex. Keep up the good work at GeSHI. I don’t know if the regional office was involved but I read the recent report on ICT in Tanzanian Education. As a someone who has worked under the MoEVT there, I found it very accurate in its characterizations of the various initiatives that I had heard of or been involved with.